valenttin (Constanta, Romania) on 14 April 2019 in Art & Design and Portfolio. @Ana Lúcia: Italian painters are really good. @Ralf Kesper: Ceiling. Church. Rome. @Existence Artistique: J'aime faire des photos dans les eglises. 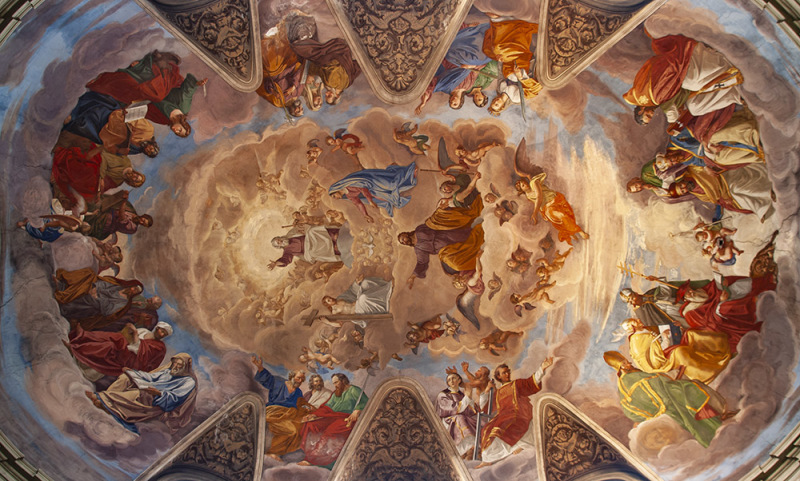 I like this...... colorful ceiling fresco depiction of biblical scenes. Thank you Valentin.